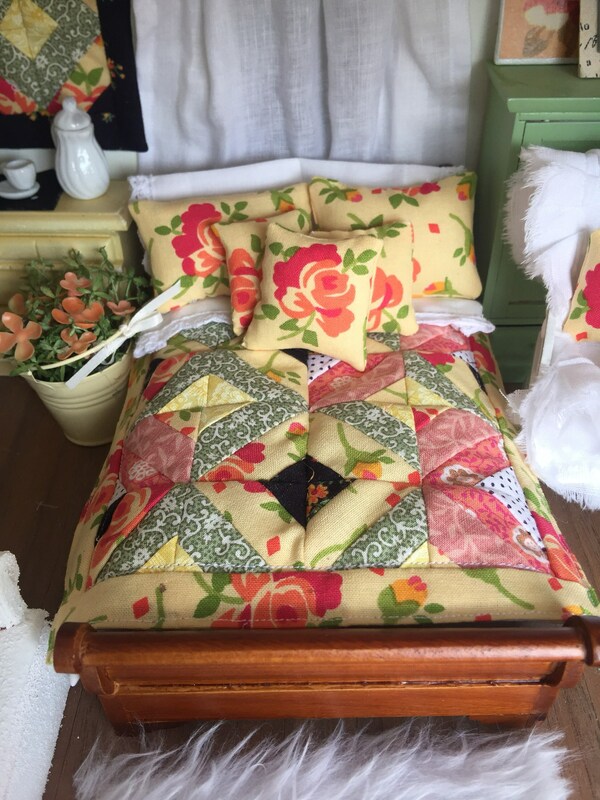 This beautiful quilt is a new design I’ve been working on for some time. 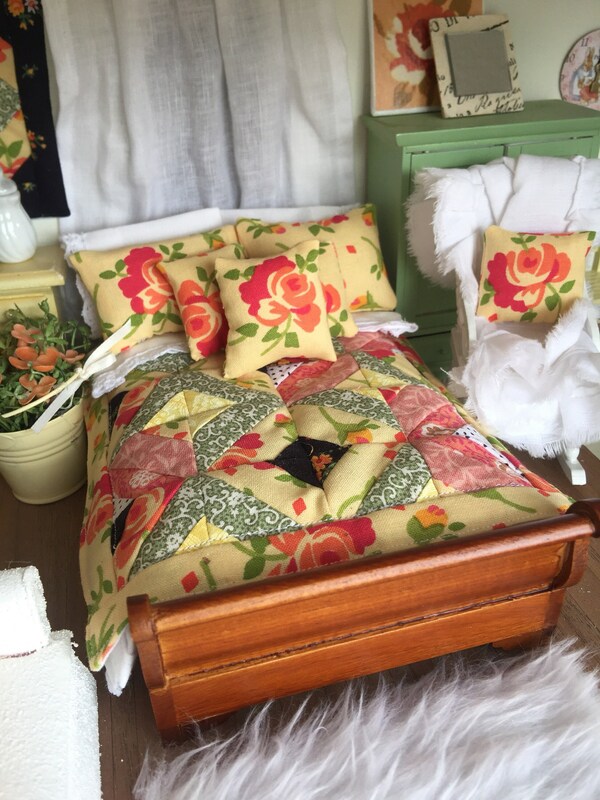 The fabric has rich colors with beautiful roses and florals. 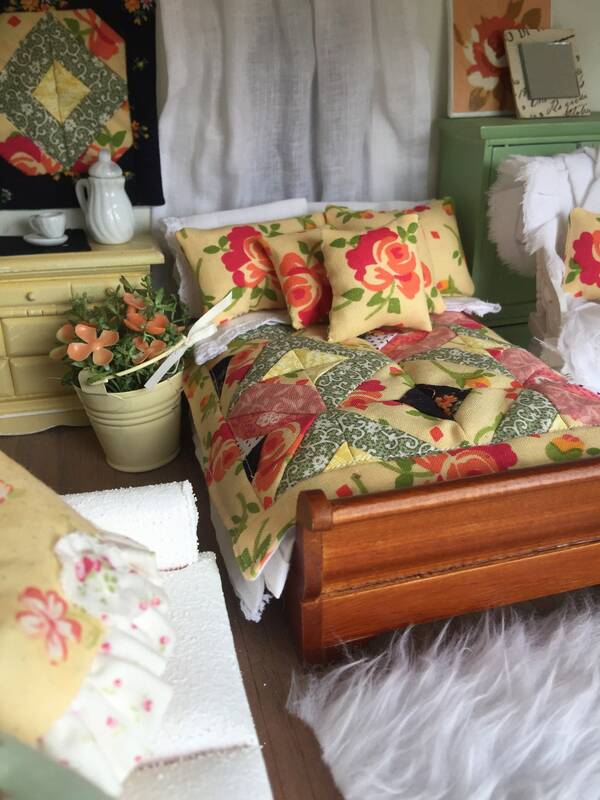 I made sevgeral additional pillows to go on the bed making sure the roses were captured on the front of the pillows. Something new that I made was a type of a dust ruffle. 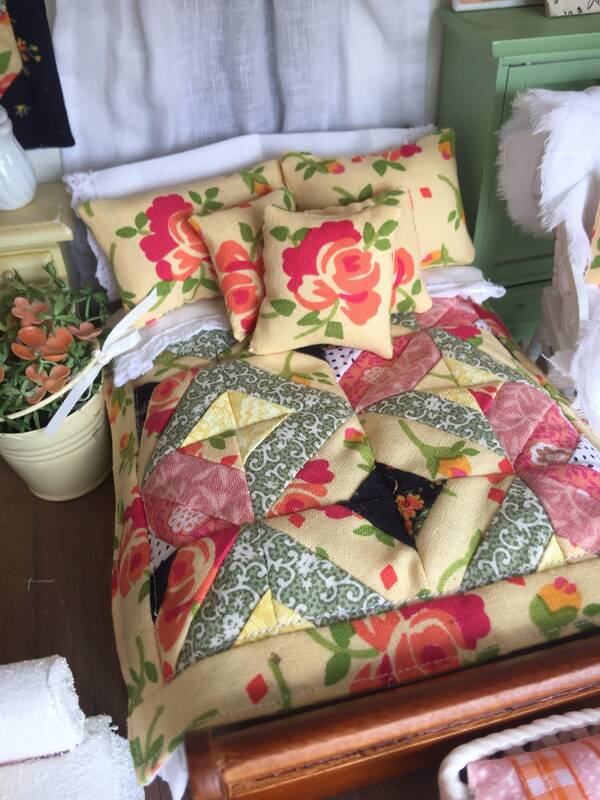 It is edged with white cotton lace similar to the flat sheet. 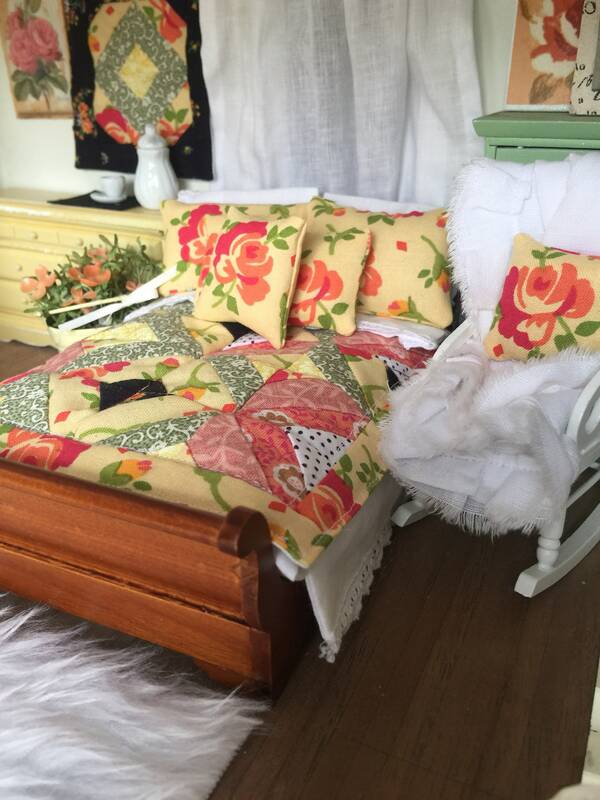 The dust ruffle is ace using 100% cotton fabrics that matches the sheet and pillowcases. 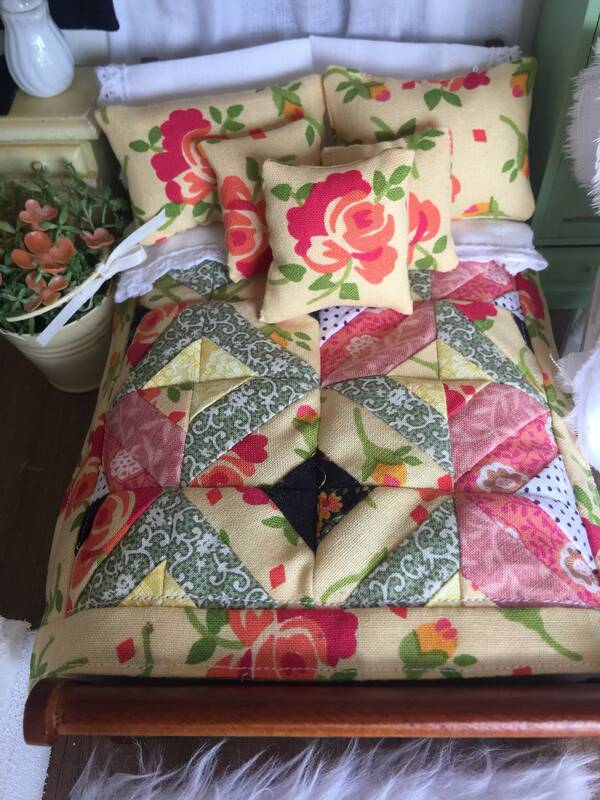 The sheet folds back over the quilt on the bed. Each item is sprayed a bit with a light misting of water and then folded and molded over the bed till it dries in place. Items are removable and washable if needed. 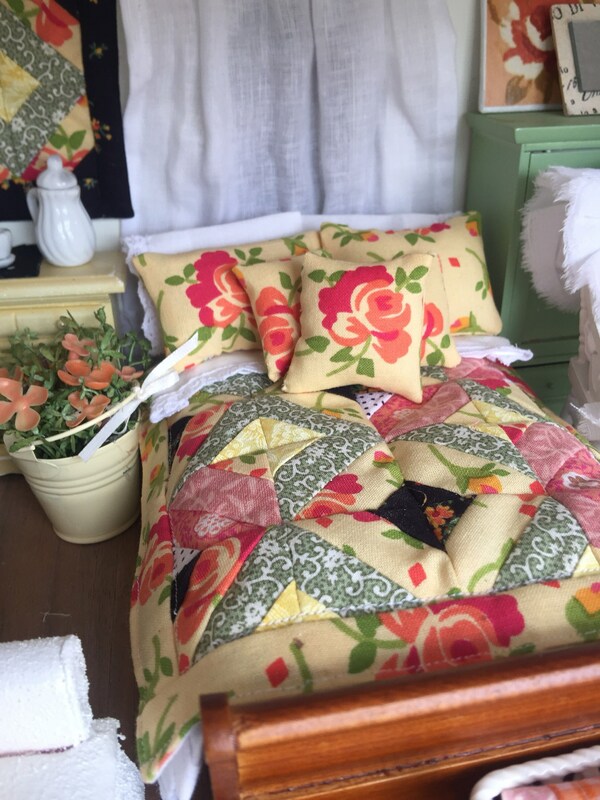 Next to the bed is a white painted rocking chair. 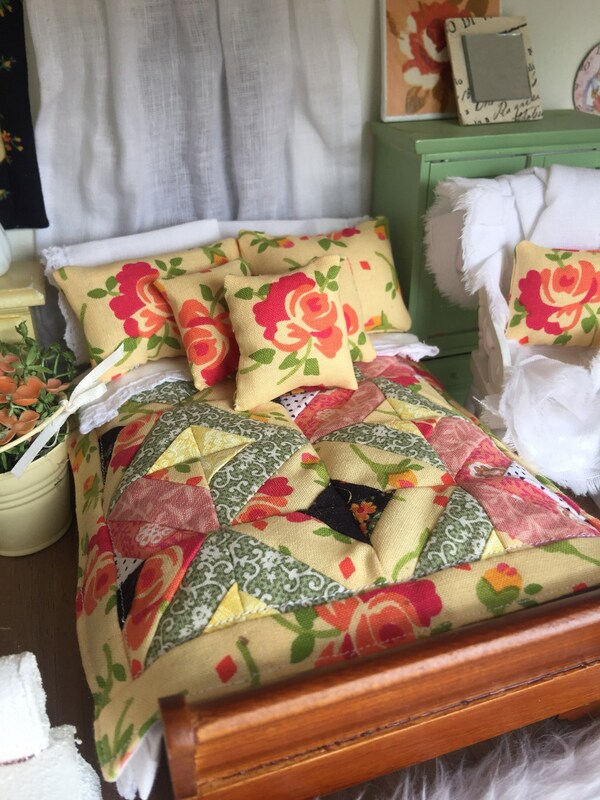 I added a white linen ruffles throw and coordinating quilt pillow. 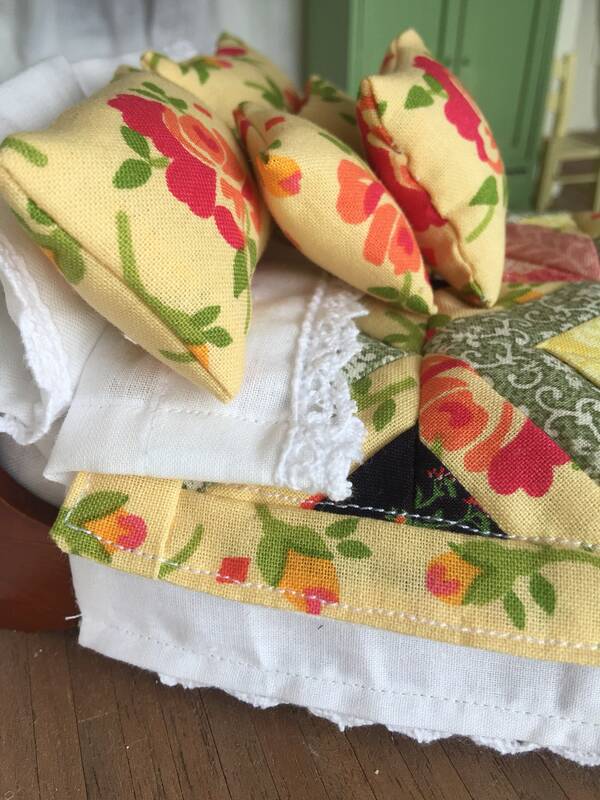 We have a lot of babies in our home that need to be rocked by their grandma so I make sure that the rocking chairs in our home have a pretty pillow and throw if needed. All items are designed and lovingly made by me. 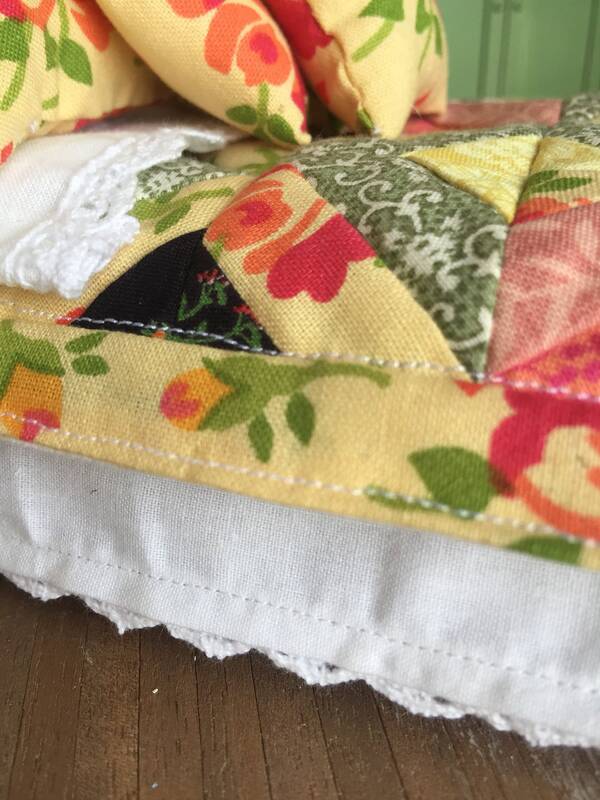 I love making little quilts!